Natural products which has a tendency to kill the bacteria and give health and hiegene are called natural antibiotics i.e. ayurvedic antibiotics. In todays era there is a strong need of natural products which could act as an effective antibiotic without any side effects and without harming the immune system of a person. Around the world some of the natural products have already been accepted as antibiotics. For eg. lahsun(Garlic), haldi(Turmeric), ambla(Embilica Officinalis), tulsi(Ocimum Sanctum), sahed(Honey), ajwain(Trachyspermum ammi), long(Clove), angur(Grapes) etc are most common. Since long the allopathic practitioners give Vitamin C along with antibiotics for better and effective results. Vitamin C in itself if given in needful dosage act as antibiotic. Vitamin C has a tendency to kill certain types of bacteria. In Ayurveda the importance of Ambla has been described in detail and it has been scientifically porved that the vitamins present in ambla are always present in any stage ie. Wethere u boil them, bake them , crush them etc. It has been described as best immune boosting medicine in ayurveda. Ambla in combination with Vitamin C can have effective results in curing aids, polio, diahorrea, titanus and disease of origin due to low immune health. Tulsi in Indian has been know as Mata- ie. Mother. It is worshiped too. It has nearly 80 percent of Antibiotic Properties. It is so effective that presence of the herb has an anti viral effect around its environment. Food accompanied with the leaves of tulsi neutralises the toxins in the food to great extent. The pulp of grapes have an effective antibacterial and antifungal properties. Lahsun and long have properties of antibacterial,anti viral, anti fugal, anti allergic etc. and those have been scientifically proved. Lahsun has an effective role in treating disease involving resistant bacteria. Honey is not less than a nature’s blessings. In ancient ages there are evidences of drinking and even bathing with honey. After scientific analysis it has been found that honey contains antibacterial and antioxidant properties. Ulcers, burns, infections, sinuses heal early and easily on application of honey. So nature has in itself provided the means to remain healthy and long live and even to cure the diseases provided they are used patiently, orderly and in required doses, with faith in it. dear sir please suggest which is good to a normal person consuming early in the morning in empty stomach neem, turmeric amla juice or honey? two glass of plain water and a walk of at least one kilometer. stomach ache… headache.. with leg pain…so it might not the that kind of problem that cud be detected in sonography or investigations… visit to a ayurvedic doctor and get properly diagnosed….probably problem of excess of heat in body…. or describe bit more about ur son to properly diagnose. Dear sir, i have hypothyroidism and little enlargement in heart. In this regard i need to have treatment which could cured the disease completely. So please suggest the best medicine of cow urine by name. it doesnot work like that in Ayurveda. 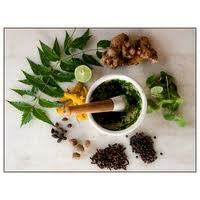 Visit a nearby ayurvedic physician…. Get diagnose status of doshas in ur body and then take the treatment accordingly. Random medication doesnt help. There are many natural antibiotics that you can utilize. For example, grapeseed extract is a good natural anti-microbial..:’,.